Bates Motel Season 3 Norman and Norma Bates Official Pictures. . HD Wallpaper and background images in the Bates Motel club tagged: photo bates motel season 3 norman bates norma freddie highmore vera farmiga. 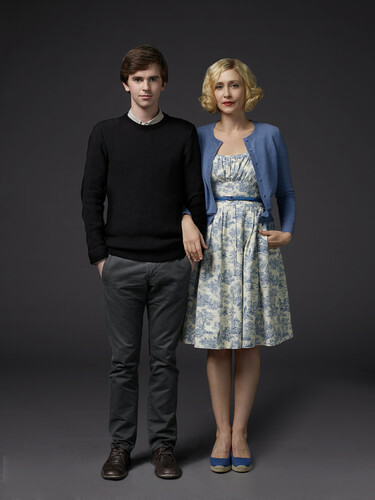 This Bates Motel photo might contain cocktailkleid, mantel, scheide, cocktail-kleid, gut gekleidete person, anzug, hosenanzug, pantsuit, hip boot, and thigh boot.